What if Jesus had not been born? What if there were no Messiah? 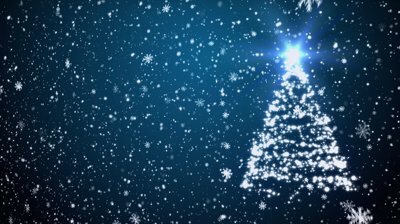 A common plea from some Christians is to “put Christ back in Christmas,” for “He is the Reason for the Season.” As one who tries to be a keen observer of cultural trends, I agree that our Christmas holiday season is almost devoid of references to the birth of Christ or to Christian themes. We have cola swilling polar bears, epic NBA games, electric nosed reindeer, and magically enlivened and dancing snowmen, but little place for the baby in Bethlehem. 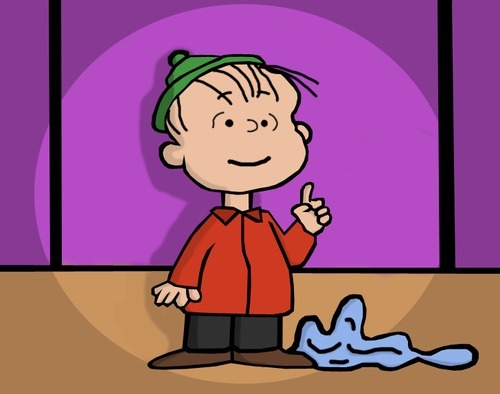 It is rare to find someone like the child-philosopher, Linus, who can quote Luke 2 in all its King James Version glory and answer Charlie Brown’s wondering as to “what is Christmas all about?” We know that Christmas should be white, but do we remember it should be holy? We might feel blue at Christmas, but do we remember to feel thankful? We want to be home for Christmas, but do we long to be close to God? So what if there had been no Messiah? What if Mary had miscarried in the first month? What if the baby was a victim of the frightening infant mortality rate in the ancient world? What if Joseph has ignored his dream, stayed in Bethlehem, and young Jesus had been slain by Herod’s henchmen? I suspect we would still have some sort of winter celebration. After all, there is no biblical evidence that Jesus was born in December, and snow is rare in Bethlehem with its moderate climate, so there is a disconnect between Christian Christmas and winter anyway. We might still have snow festivals and ice sculptures. The pagan elements that have been incorporated into our Christmas season may have survived on their own: yule logs, mistletoe, perhaps the evergreen Christmas tree with its lighted candles. I love the hustle and bustle, the excitement and anticipation, the joy and good-will of Christmas. But, as wise Linus teaches us, Christmas must be about Christ and his birth. And Christmas must remember his death, too, for he was born to be named “Jesus,” because he would save his people from their sins. 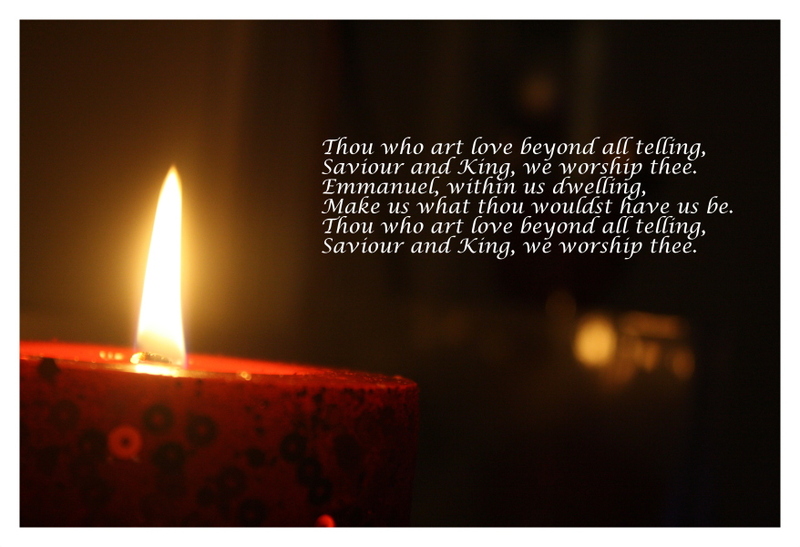 Prayer: Holy Jesus, may you give us a spirit of repentance this Christmas, a desire to be like you. As we celebrate Eucharist tonight, may our lives be renewed in your presence as we share your Table with your people. May we turn over our moral failings to you so you can take our sins away. Amen and Amen. A beloved story in history is the account of the rich person who who gives up his wealth and adopts a life of poverty. This is the story of Francis, whose father was the richest man in the Italian city of Assisi, yet who renounced his wealth and embraced a life of absolute poverty. Siddhartha Gautama, an Indian prince born into wealth and privilege, renounced luxury to become the ascetic known as the Buddha. Agnes Bojaxhiu, born into the family of an Albanian politician, renounced a life a privilege and embraced ministry to the poorest of the poor becoming known as Mother Teressa of Calcutta. In American history, one of the things that endeared George Washington to his troops was the fact that he was considered the richest man in America, yet he endured the hardships of military campaigns for years as he led the armies of the Revolution. Christ, the pre-existing Word of God, left his place in the courts of heaven to become the Babe of Bethlehem, the son of a teenage girl and a hard-working man. He did not grow up in the midst of wealth or privilege. Just becoming human for Jesus was the ultimate rich to poor story in ways we cannot even understand. The Englishman, Frank Houghton, left the secure life of a priest in the Church of England to join Hudson Taylor’s China Inland Mission in 1920. His career in China was parallel to the rise of the communist party, an organization that viciously persecuted Christians and especially missionaries. Houghton toured China in 1934 despite great personal risk. British missionaries had been imprisoned, tortured, even beheaded by the communists. Houghton visited remote missionary outposts and witnessed the suffering of these men and women of God first hand. For me, Houghton captures an essence of Christmas in these words. How rich was Christ? Paul doesn’t tell in 2 Corinthians. Houghton simply says it was “beyond all splendour.” The wealth of Christ was not in silver or gold, not in real estate or the stock market, not in lucrative patents or celebrity endorsement power. Like Paul and Frank Houghton, I cannot begin to describe or even imagine the riches Christ left behind when he became human. But I am eternally grateful that he was willing to forsake these things. Nebraska Christian College’s annual “Colors of Christmas” finished its three shows last night. It was outstanding. Kudos to Director John Chilcote and the fabulous students of the college, and thanks for letting me play my fiddle with you. One of the songs seemed new to me, yet hauntingly familiar, “Winter Snow,” written by Audrey Assad. Assad who was featured in the Colors of Christmas show in 2010 as a guest artist and I’m pretty sure performed this song. It is a thoughtful, powerful song, very much like other Assad tunes that have become favorites of mine. Assad’s lyrics ask a great Christmas question: why did the Son of God come to humankind in such a quiet, inauspicious way? Assad muses that the Christ could have come like a hurricane, a forest fire, a tidal wave, or a roaring flood. She also reflects on the possibility of other famous biblical ways God has chosen to reveal himself: a burning bush or a rushing wind. But none of these spectacular modes of revelation were the choice of God. The story of Christmas is about God’s Son coming to be with us “like a winter snow,” quietly, in the night. One of the great mysteries of Christmas is the humility and obscurity with which Christ came. It was not in a royal setting. The palace of Herod in nearby Jerusalem was clueless about his birth until some visitors from the east came asking questions a couple of years later. It was not in a wealthy setting. The baby was born among household farm animals. His first outfit was a improvised wrapping in scraps of cloth. His baby bed was a feeding trough borrowed from one of the animals. It was not in a celebrity setting. Jesus’ mother was a young girl from an obscure village. Despite the many images of her we see giving her great beauty, she was likely very plain in appearance. Her husband was a skilled tradesman who made his living working with his hands. There were no viral youtubes about this birth. No parades. No round of interviews on the networks. No blogs. It was very private, very simple, very quiet. And in this lies great power. This is what Audrey Assad understands, “soft and slow, like a winter snow.” The fragility and humility of Christmas. 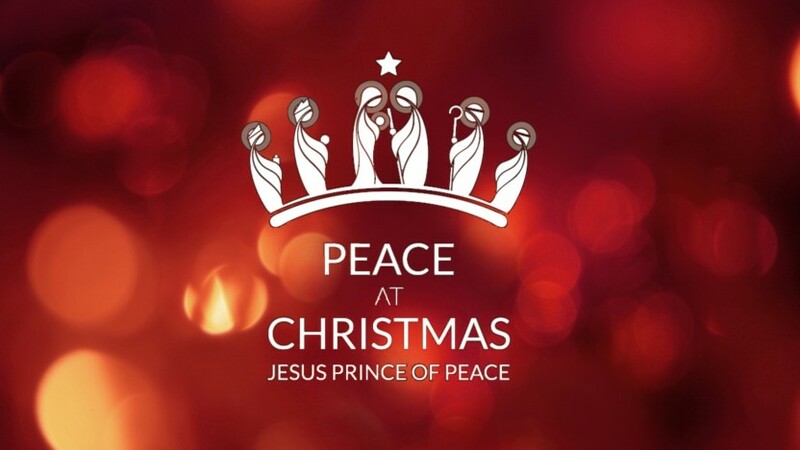 Peace is a word often associated with the Christmas season. Biblically, this comes from two Scripture passages, one a prophecy and one a pronouncement. The Hebrew concept of “peace” is based on the word shalom (שלם) which has connotations much bigger than cessation of hostilities. Biblical peace is more than the absence of war. Peace has to do with having the right relationship with the Lord, and thus personal well-being. To be the “Prince of Peace” means you brought prosperity to your people. To have a government of peace would mean you governed in a way that was to the benefit of your people. For God to pronounce peace on the earth means truly that he is well pleased with his people. Why would anyone not want peace? There are many reasons, and we still see them working out in today’s world. There are those who do not wish to have peace between nations, because they believe that national belligerence and aggression may lead to more people, power, and wealth. Historically, most empires were built on wars that overpowered other nations and looted them. There are others who reject peace because they believe they can prosper in chaos and profit from war. This can be the perspective of anarchists, those who believe they can emerge from anarchy as rulers and masters. The heart of an anarchist believes that society and government are irredeemable and must be destroyed so that everything can be rebuilt. It can also be the perspective of cynics in the war industries who long for wars so their companies can make profits. There are also some who reject peace because they are restless souls in conflict with God. They have no peace in their souls, and don’t want others to have peace either. In all of these scenarios, the opportunists, the anarchists, the cynics, and the troubled souls, Christ offers peace. The Christ Child is God’s peace offering, as St. Paul says, “For he himself is our peace, who has made the two groups one and has destroyed the barrier, the dividing wall of hostility” (Ephesians 2:14). Paul is particularly speaking of the hostility between Jews and Gentiles, but the application is larger. Christ is truly our peace, provided as a blessing of God for all the residents of the earth. So may you have peace this Christmas. May you have peace in your country. May you have peace in your politics. May you have peace in your soul. May Christ be the Prince of Peace for you now and forevermore.